Construct state of size n.
Get the chart this state is on. Set the chart c for the state. Copy the contents from a vector into this state. Uses the underlying copy operator used by Eigen for dense vectors. A state in an atlas represented as a real vector in ambient space and a chart that it belongs to. 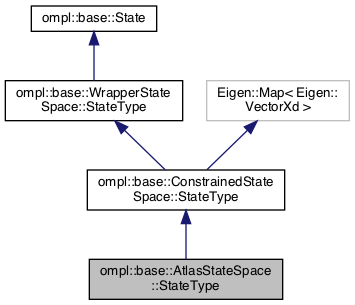 Definition at line 136 of file AtlasStateSpace.h.